Maria Ressa, the CEO of the independent Philippine news site Rappler, says the organization has been indicted for tax evasion as a means of intimidation, but she refuses to back down. When Maria Ressa landed in Manila on Thursday, she risked arrest. Earlier in the week, the journalist was celebrated at an awards ceremony in New York City, but at home in the Philippines, she faces charges of tax evasion for the same work. Ressa is the co-founder of Rappler, a hugely popular independent news website in the Philippines that has faced off with President Rodrigo Duterte. The website has previously been critical of his deadly war on drugs and what Ressa sees as an eroding democracy. 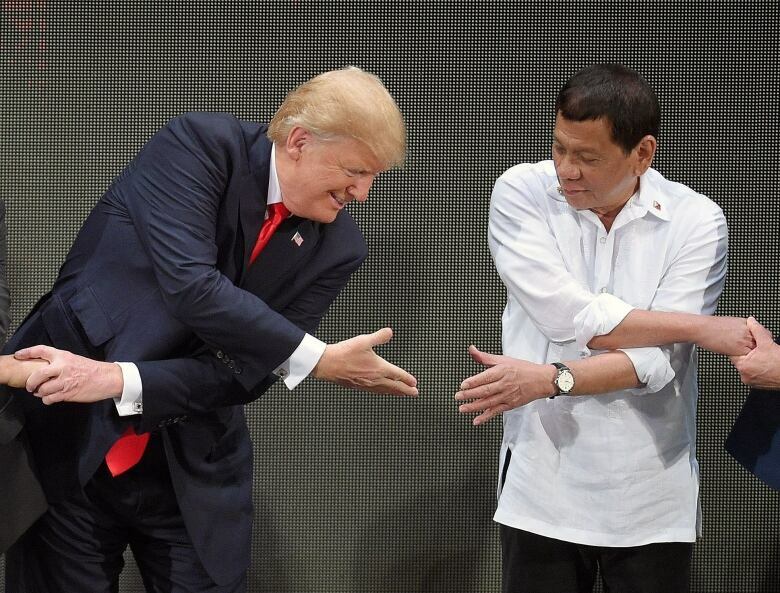 "I think it's important that every Filipino who believes in the constitution, who believes in rule of law, that we say you're bending the law and you're breaking the law," she told Day 6 host Brent Bambury. 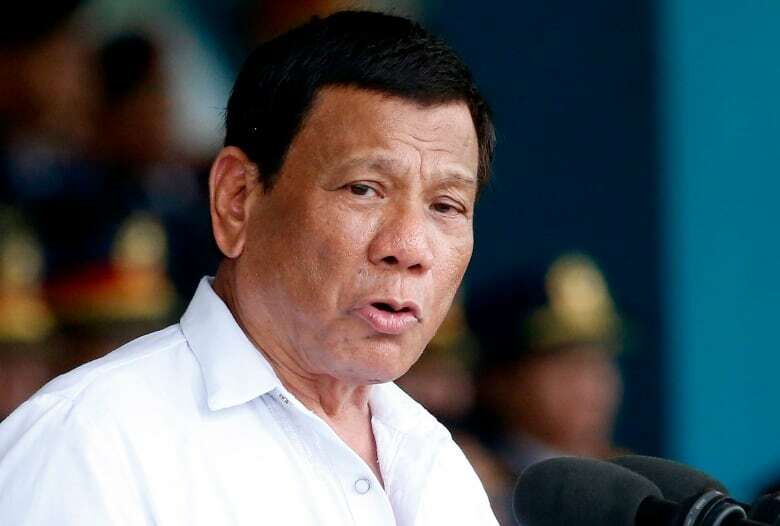 Duterte, known for his criticism of news outlets that challenge his policies, first lobbed attacks at the website in his 2017 state of the nation address, alleging that the company is foreign-owned. In January, the Philippine Securities Exchange Commission was pressured to revoke Rappler's license as a media outlet Ressa says. The government has since reclassified the news agency as a securities dealer. "I'm not a stockbroker in any way, but they said, 'Well, since you are a dealer in securities, you owe all of these taxes,' and that's not the case," she added. The charges against Ressa, laid earlier this month, are an effort to shutdown her organization's work, she says. "In the end, all of these cases come down to an attempt to intimidate Rappler, and our journalists, to silence." Rappler launched in 2012 and found success early on using Facebook as a platform for its journalism. It's estimated that about 97 per cent of Filipinos access the internet through the social network. "I call Facebook a 'frenemy' because Rappler couldn't have grown — couldn't be the company that it is today — without Facebook," Ressa said. But in the wake of attacks by the Duterte government against her organization, she says that same service is being used to discredit both Rappler and herself. Bloggers have "weaponized" social media, posting lies and rumours about not only Rappler, but several news agencies critical of Duterte. The posts are frequently seen by "millions" on social media, Ressa says, and have links to pro-Duterte sources. "It's very clear that the attacks against us on social media follow the government propaganda," she said. Ressa is critical of Facebook, which her organization works with as a fact-checking partner according to the New York Times. She says the social media platform is too slow to respond to false information on the service. "Facebook needs to do something about the lies that go viral. This is not a matter of freedom of speech or freedom of expression. This is a matter of gatekeeping," she said. "Every day that the platforms don't take action means someone dies; means the quality of our democracy is severely hampered. And people like me ... could go to jail because of the actions they did not take." Duterte holds significant power in the Philippine government, controlling the executive and legislative branches. According to Ressa, he will have appointed 13 of the 15 Supreme Court justices before he's out of office. 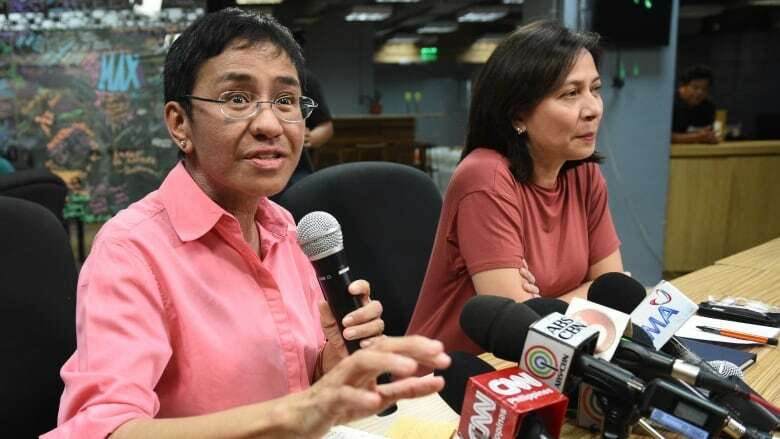 That, combined with an alleged army of bloggers to attack opponents online, is "unprecedented in terms of what we face as journalists," Ressa said. "The exponential lies on social media have the same impact in the Philippines as they have in the rest of the world. It weakens truth tellers and it makes everyone doubt exactly what the truth." The challenge is compounded, she says, by U.S. President Donald Trump's statement this week rationalizing the death of American journalist Jamal Khashoggi. "It's a horrible message globally. It gives permission to authoritarian style leaders around the world," she told Day 6. Still, she's resolved to fight for her organization and press freedom in the country. She says that while the lies spread on social media, and the charges against her, discredit Rappler, they also galvanize people who see a trend of political harassment. As she said in an acceptance speech on Tuesday, "We are Rappler and we will hold the line." To hear the full interview with Maria Ressa, download our podcast or click the 'Listen' button at the top of this page.